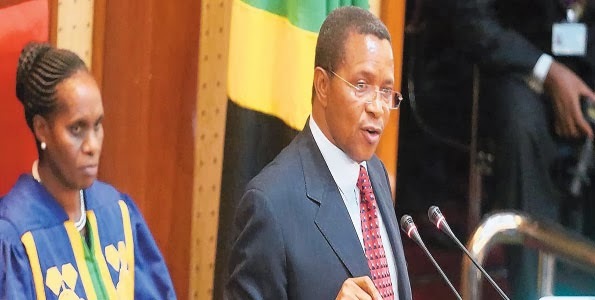 Tanzania will never quit the East African Community and will do everything in its power to ensure it survives and becomes prosperous despite efforts by Kenya, Rwanda and Uganda to sideline it, President Jakaya Kikwete told Parliament yesterday. Also present during the session were Zanzibar President Ali Mohammed Shein, Vice President Ghalib Bilali, Prime Minister Mizengo Pinda and Chief Justice Othman Chande. Mr Kikwete, just back from meetings in South Africa where he met Presidents Uhuru Kenyatta of Kenya and Yoweri Museveni of Tanzania, said he would engage his colleagues to find out exactly what the problem is. Claims that Tanzania is an impediment to integration were not true, he added, even though they have been repeated several times. On the contrary, he added, Tanzania is an active participant in the integration process and is fulfilling its part of the bargain. Nevertheless, Tanzania would not agree to fast-tracking the political federation by leaping over key integration processes such as the Monetary Union. Speaking with an intensity rarely seen in the ever-smiling President, Mr Kikwete told the House that he was puzzled and deeply saddened by efforts to sideline Tanzania even in issues that have been discussed all along at the level of the EAC summit meetings. 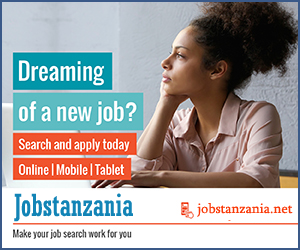 The president said he had asked himself countless questions as to why Tanzania should be sidelined. Mr Kikwete’s comments came after Presidents Uhuru Kenyatta of Kenya, Yoweri Museveni of Uganda and Paul Kagame of Rwanda held three meetings this year, the latest on October 28 in Kigali, where they agreed to start implementing infrastructure projects, the political federation and the single customs territory. He disclosed that two or more countries are allowed to meet over bilateral or trilateral issues but they can do so only to discuss issues that are not in the EAC protocol or those that have not been decided upon in the EAC Summit meetings. Despite the fact that the three countries can go forward with the infrastructure projects without Tanzania, he added, the decision to sideline the country was against the spirit of integration since Tanzania had shown interest in participating in all the projects under discussion. There have been expectations that the Mombasa-Kampala-Kigali standard gauge railways would branch to Tanzania and the Eldoret-Kampala-Kigali oil pipeline would branch to Mwanza. Tanzania was keen to invest in the Uganda oil refinery and the electricity issue was agreed jointly through the EAC Power pool project. In another development, the President yesterday defended Operation Tokomeza against poachers, saying it was the only way the government could protect and save animals and other natural resources. He said the operation has been suspended so the government could work on issues raised by MPs and wananchi. against game warders and other officials. The operation was unavoidable because of the current situation and the diminishing elephant and rhino population and forests.